Sometimes the best photos depict a place you know intimately. In 2018 our staff photojournalists found many of their greatest photos in our own backyard – in Deering Oaks Park, in Portland’s City Hall council chambers, on the Eastern Promenade, and on Scarborough’s and Saco’s beaches. We also took an in-depth look at Bayside, a Portland neighborhood in distress, and we documented the high school ritual of the prom with portraits of young people on the cusp of adulthood. 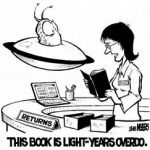 ON BOOKS approaches a reverence for books with the understanding that there is an essential “thingness” to books along with the narrative that might be included within their pages. While these sculptures may have pages, they express their ideas in a form descriptive of the feeling those pages may evoke. They have literal weight and occupy our physical space in a way complementary to the way a story occupies our mental space. This sculpture exhibited includes sculptural responses to books or literary experiences, pieces that use language or words in a dominant way, altered books, and pieces that use or reveal book elements. The Lewis Gallery at Portland Public Library is a large and open gallery that has 75 feet of wall space, a soaring entry, track lighting, and great public visibility. 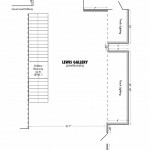 Voted the Portland Phoenix’s Best Non-Gallery Art Space 2013, the Lewis Gallery is a space that attracts visitors and encourages public engagement with art. If you are interested in exhibiting your work, please review our art exhibit guidelines and submit a proposal using the Lewis Gallery proposal form. The Library’s Cultural Center Team reviews exhibit proposals on a quarterly basis and selects shows based on a goal of attaining a mix of mediums and content for the gallery. 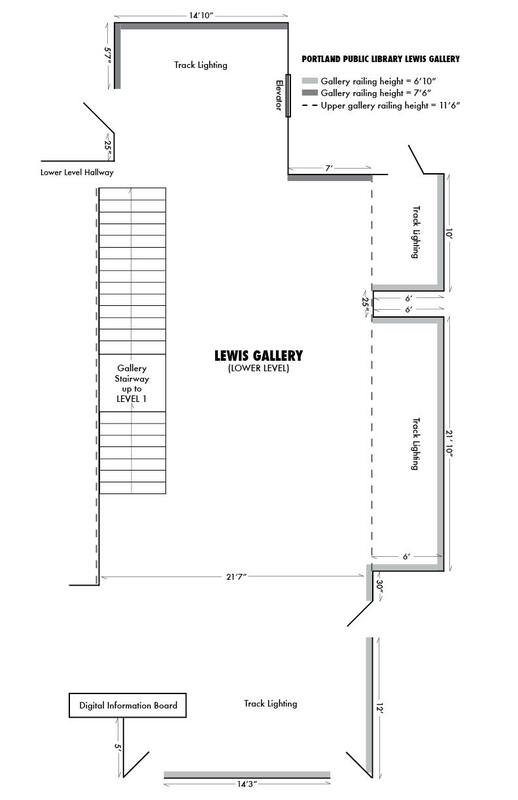 Submitting a proposal form does not ensure that a show will be hosted in the Lewis Gallery.